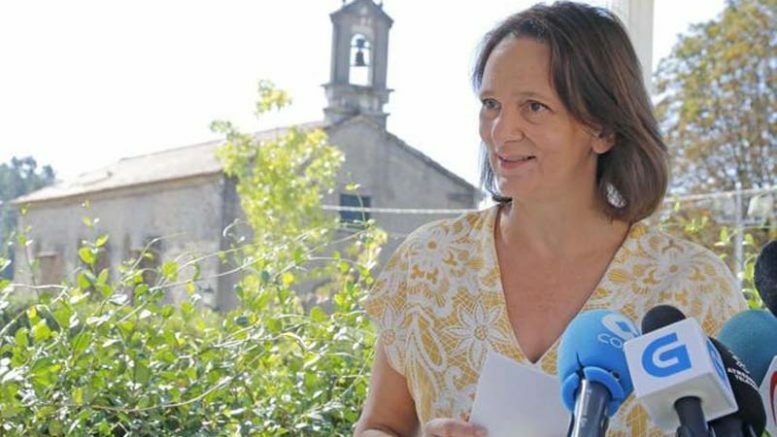 Carolina Bescansa, one of the original co-founders of Spain’s Podemos party, has launched a surprise bid for the party leadership in her native Galicia and will stand in regional primaries this month against a candidate backed by national party leader Pablo Iglesias. Bescansa, a political science professor at Madrid’s Complutense University who along with Iglesias and a handful of others co-founded the leftwing party in 2014, resigned her third-ranked position in the Podemos national leadership in February 2017 after her efforts to broker a truce over policy disputes between Iglesias and fellow co-founder Íñigo Errejón failed, resulting in Iglesias to dropping her as a candidate on his slate in upcoming leadership elections. After open criticism of Iglesias’ strategy of forming alliances with regional nationalists in Catalonia and elsewhere in Spain, Bescansa’s break with Iglesias became complete in April of this year after a draft document outlining a plan to throw her support to Errejón in an effort to depose Iglesias from the party leadership was mistakenly published by her team to an open channel on the social media platform Telegram. In announcing her candidacy in Galicia this week, Bescansa said it was not launched as a means of undermining the influence of Iglesias in Galicia, but rather to strengthen the Podemos affiliate party in Galicia in the run-up to regional and municipal elections next year. Bescansa announced support for her run from the current Podemos-Galicia organization secretary, Natalia Prieto, and claimed support from the majority of the regional party leadership and rank-and-file. Competing against a slate headed by Iglesias-backed candidate Antón Gómez-Reino, Bescansa will become general secretary of the Galician affiliate of Podemos if she garners the most ballots in voting slated to end on 18th October. She said that she will maintain her seat as a national deputy in Spain’s Congress until the primary results are in, but will resign as a deputy if she wins the Galician leadership contest. On Sunday, her candidacy was indirectly criticized by Iglesias in a national television interview, who while pledging neutrality in the contest said he nonetheless found it odd that Bescansa would want to lead the party in Galicia “after having lived for the past twenty years in Madrid”.